All year, our Odyssey of the Mind team has put hours of hard work into our performance. 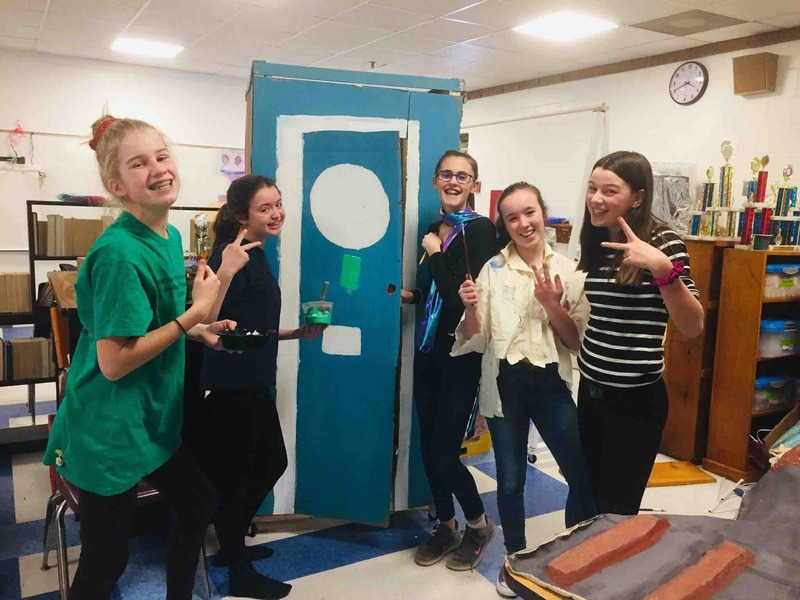 We have built structures, created paintings, made backdrops, written a script, put together costumes, and rehearsed our skit to prepare for our regional competition. We took first place in the region, then took 1st place again in the state of Maine competition! This means we qualify to go to Michigan State University in May for the world competition. For this to happen, we need your help! It will take our team $8,000 to be able to go-but another team from our school qualified as well, raising the grand total up to $16,000. The world competition is an amazing experience, where we get to live on a college campus for 4 days, meet tons of people from around the world, trade pins, go to huge ceremonies, and much more. Please donate so we are able to go to the world competition!! Even if it is a small donation, it will still help. Anyone recognize these Bath 7th graders? Introducing our Maine State 1st place Division 2 Problem 5 winners. They have been on the same Odyssey team for the last four years, AND this is their first time to Worlds. No matter how small your donation, you will be making a huge impact on these gals' lives. 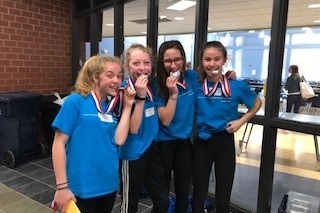 On Saturday April 6th 2019, two of our Bath teams won FIRST place in the Maine State Odyssey of the Mind competition. Please help us send these kids to The Odyssey Of The Mind World competition in Michigan May 22nd. Big or small, every donation will make a difference. Donate today and show these teams you are behind them all the way to Michigan. 2019 Odyssey of the Mind Regionals. Eight Bath teams competed and four placed 1st in their problems and divisions. Proud moment for Bath. Next month, we head to represent at States. Wish us luck!!!! RSU1 TEAMS HEAD TO REGIONALS!!! 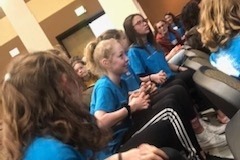 With only days left before competition, our RSU1 Odyssey of the Mind teams are busy with last minute preparations, fine tuning scripts and costumes, and tweaking technical devices. We are proud to showcase our 7 competitive teams (grades 3-7) and our primary team from Woolwich. Fisher Mitchell Elementary School Odyssey teams. Our competitive teams from Fisher Mitchell, Woolwich Central and Bath Middle Schools will compete on Saturday, March 16 at the Brunswick High School, and our primary team from Woolwich Central will perform on Saturday, March 23 at the Auburn Middle School. It is by far the cutest thing you’ll ever attend!